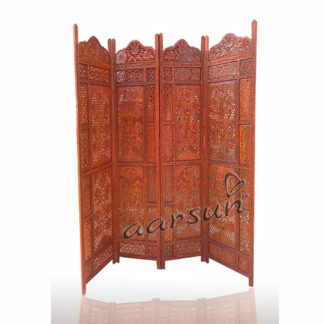 Premium Sheesham Wooden Room divider. 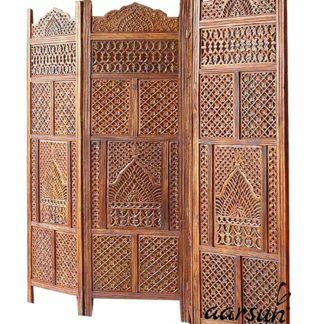 Aarsun Woods bring you this Handmade Folding Room Divider made from Sheesham Wood with floral work that gives an elegant and traditional look (matte finish) to your living room. Consists of 4 Panels each of 72 inches Height and 80 inches approximately Width. This stylish room divider separates the living room area from the rest of the house or can be used for separating Pooja Space from the rest of the house. Do not keep warm items directly on a furniture surface.Fore more details, feel free to contact us at +91-8192999135 / +91-8266888634 or mail us at aarsunwoods@aol.com.